The incidence of type I allergies, which are associated with mast cell degranulation and local inflammation, is increasing, and new treatments are needed. To date, structure–activity relationships of flavonoids in their degranulation-inhibiting activity have not been systematically characterized. 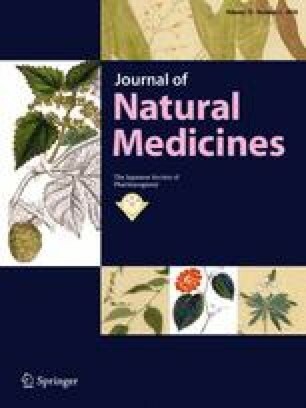 In the current study, the degranulation-inhibiting activity of a series of flavonoids was evaluated. The following three observations were made: (1) the activity disappears when a sugar moiety is introduced into the A ring of the flavanone; (2) the activity depends on the number of hydroxyl groups on the B ring; (3) the activity is markedly enhanced when a double bond is introduced into the C ring. The information obtained in the current study may guide the development of a therapy for type I allergies. The authors would like to thank Editage (http://www.editage.jp) for English language editing.